Over 1 million streams to date! Hyro the Hero is teaming up with SKIO Music for a special contest where fans can submit their remix of Hyro’s track “Bullet”. The contest runs from now until January 4thand the winner will be announced on January 15th. The winner’s remix will be released with distribution to major channels and will also receive a Slate Digital Bundle, Skype meet and greet with Hyro The Hero, Hyro merch pack, Digital Membership to Producer DoJo, and more. More info about the context is available HERE. Catch Hyro The Hero performing at ShipRocked 2019 from January 26 to January 31st, where he will be sharing the stage with rock heavyweights such as Papa Roach, Bullet For My Valentine, and Nothing More. 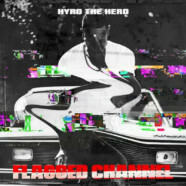 For more information on Hyro The Hero’s upcoming tour dates, visit his website HERE. In any cultural movement there are leaders and there are followers. But most importantly, there are those uniquely innovative provocateurs that take the familiar, turn it upside down, and burn it with new creative fire. Like a b-boy mad scientist smashing the windows of the mainstream with a Molotov cocktail of passion and inspiration, Hyro The Hero takes the fusion of rap and rock and resurrects it. His combustible concoction is one part The Clash, one part Bad Brains, and several doses of reverence for hip-hop relevance. It’s the most punk rock rap andthe most hip-hop punk. The mash-up of rock and rap was pioneered by groups like Run DMC and the Beastie Boys, then fashioned into groundbreaking socio-political firebombs by Rage Against The Machine, before it was co-opted, watered down, and worn out by a slew of no-talent copycats with nothing to say. Hyro was embraced early on by Deftones, Wu-Tang Clan, and the Vans Warped Touralike, earning accolades in tastemaker publications like Kerrang! and airplay on BBC Radio 1, becoming the first artist to ever play three stages at Download Festival UK in the same year, and inspiring a new generation of heavy music enthusiasts and hip-hop heads in equal measure.